While all eyes have been focused on the socialist democrat out of the Bronx, Alexandria Ocasio-Cortez, who will with high certainty be a part of the 116th Congress that begins on January 3, 2019, close attention should be paid to Minnesota's 5th District House seat being vacated by Rep. Keith Ellison (D). 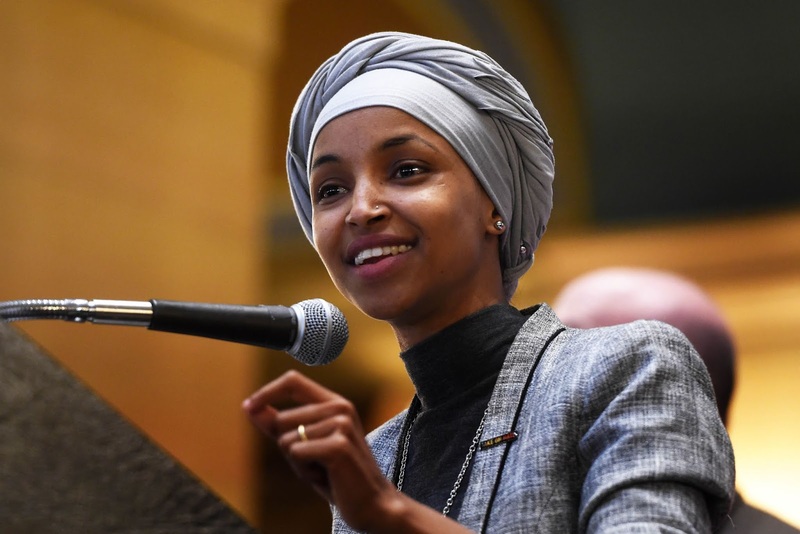 Close observers of Minnesota politics believe that the August 14 primary could result in the election of Ilhan Omar (36) as the Democratic nominee. If she gets the nomination, like Ocasio-Cortez, she will be considered a shoe-in to gain her House seat at the November mid-term elections since there would be no significant challenger out of the Republican Party. Omar, a hajib wearing Muslim entered the United States as a Somali child refugee and appears to be an establishment favorite. Ocasio-Cortez has experienced some friction with establishment Democrats. Not so with Omar. Indeed, the broader establishment appears to be welcoming her with open arms. 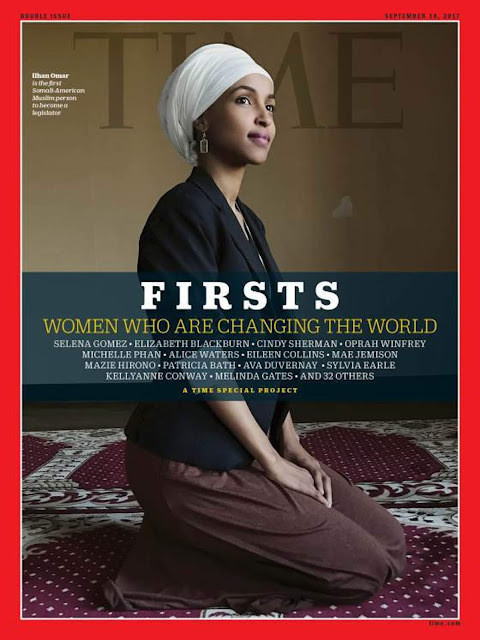 Last year, TIME magazine put her on the cover, after she was elected a Democratic–Farmer–Labor Party member of the Minnesota House of Representatives that made her the first Somali-American legislator elected to office in the United States. But here is the thing, she appears to have a more polished presence than Ocasio-Cortez. While Ocasio-Cortez needs to spend some time with a speech coach to eliminate a kind of Gomer Pyle-lite gawkiness, Omar is a natural. She could out Obama Obama. Things get real interesting when it comes to her economic policy positions. The Ocasio-Cortez website issues page is lite on details and simply throws out a bunch of calls for free this and free that. Omar's issues page drills much deeper into her demands which are supported with many more facts. Of course, all the facts she flouts to justify economic interventions could be refuted by any sound free-market economist (probably even beltarians) but here's the thing, if she is capable of babbling this stuff out in that Obama squared style of hers a lot of the masses are going to buy in. Whatsmore, aside from the deeper dive into a justification for her central planning, her area of central planning thought goes well beyond that of Ocasio-Cortez. Ocasio-Cortez's issues page doesn't even mention cooperatives. Bottom line: Early on I identified Ocasio-Cortez as dangerous to those who appreciate free markets and liberty, and she is. But she is a distant second to the polished, extreme socialist Ilhan Omar.